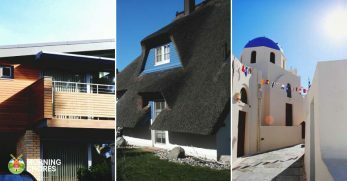 Are you moving back to the countryside after a long and busy life in the city? 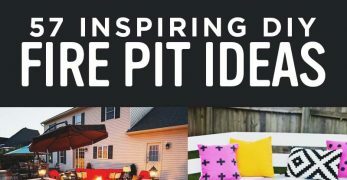 Or, maybe you want to renovation your boring bedroom? Convert it into something classic, comfortable and cool? 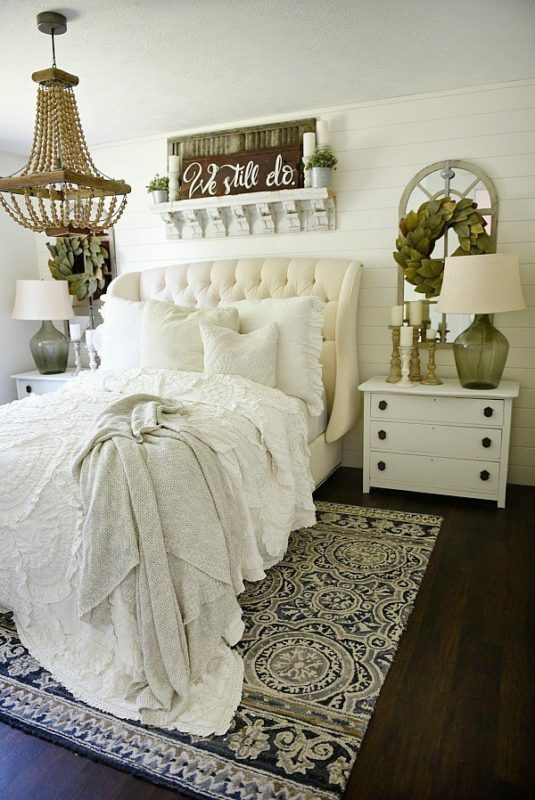 Perhaps a farmhouse bedroom design is what you need! 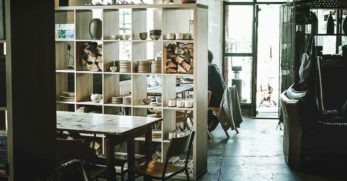 Personally, growing up on a farm, I always loved the feeling of old warm barn woods, the industrial metal features and the vintage refurbished furniture items that were in the house. 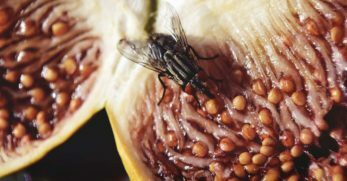 It made living feel warm and comfortable. My mom is queen for collecting old items from the barn that weren't being used and turning them into statement decor pieces. 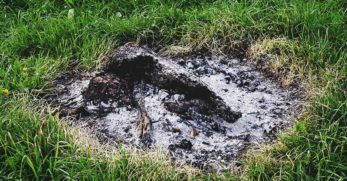 It made resting at home feel like a walk in a museum. 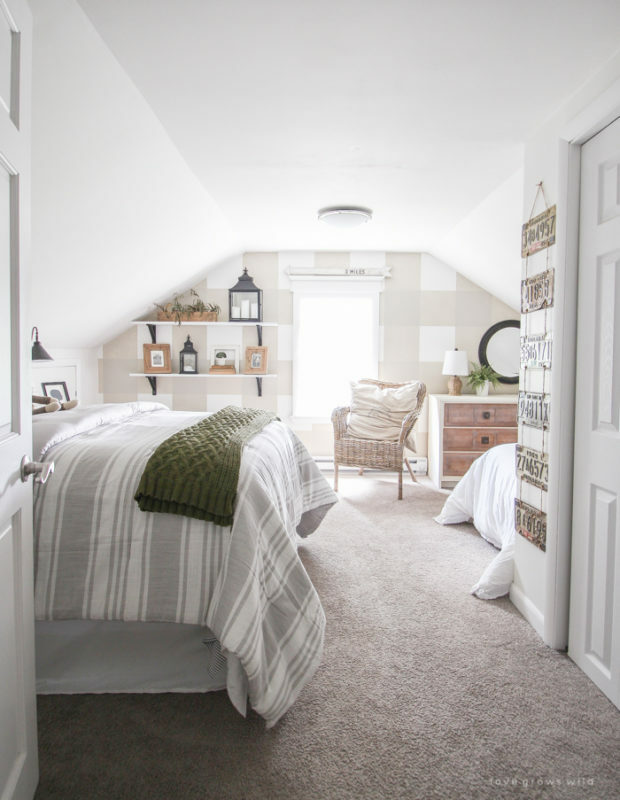 Designing your bedroom with a farmhouse design will be a ton of fun! 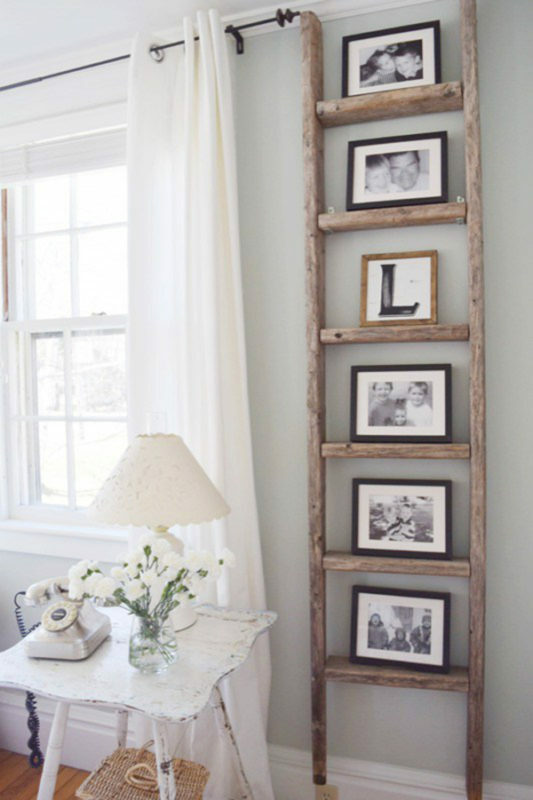 Think of new uses for old ladders or a better spot for that old dusty lantern! Have fun and get creative with how you want the final look to be. 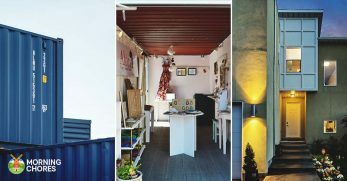 However, first, you're going to need a bit of inspiration to pull off the job! 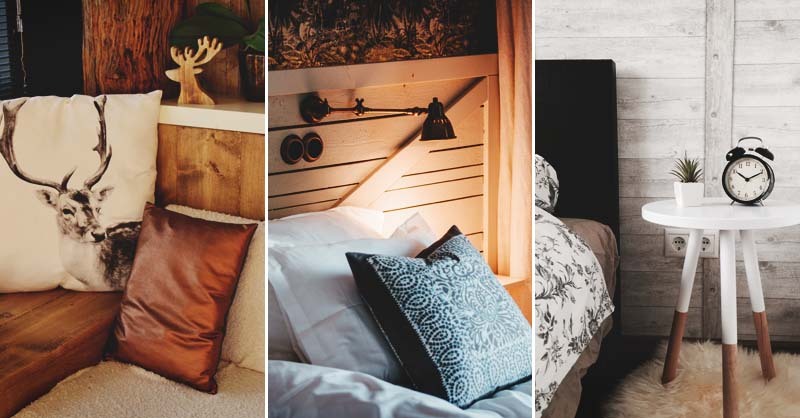 Below are 50 rustic and cozy farmhouse bedroom designs for your next renovation. 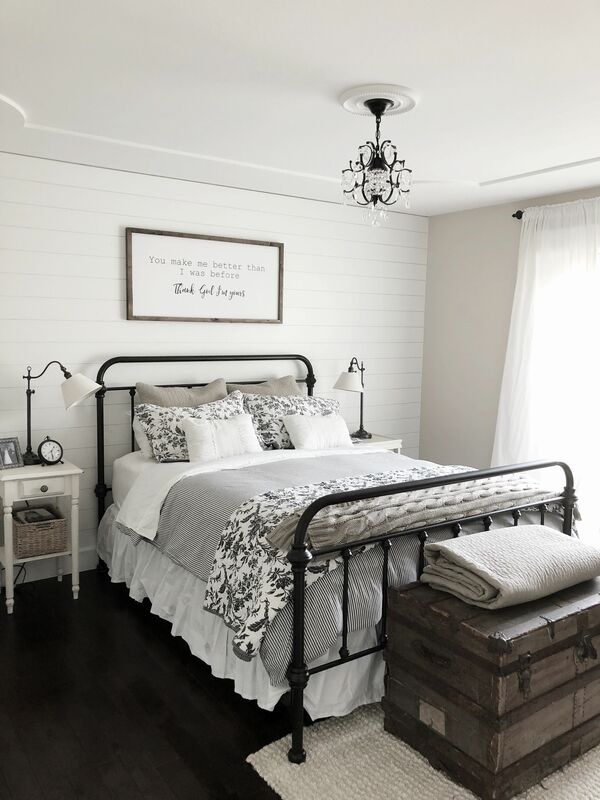 Decorate your farmhouse bedroom ceiling with old barn wood to give it a really authentic look. 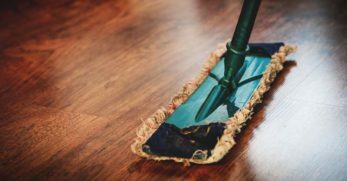 The key to getting that farmhouse look is by using old items that you may have seen around the farm as new decor. 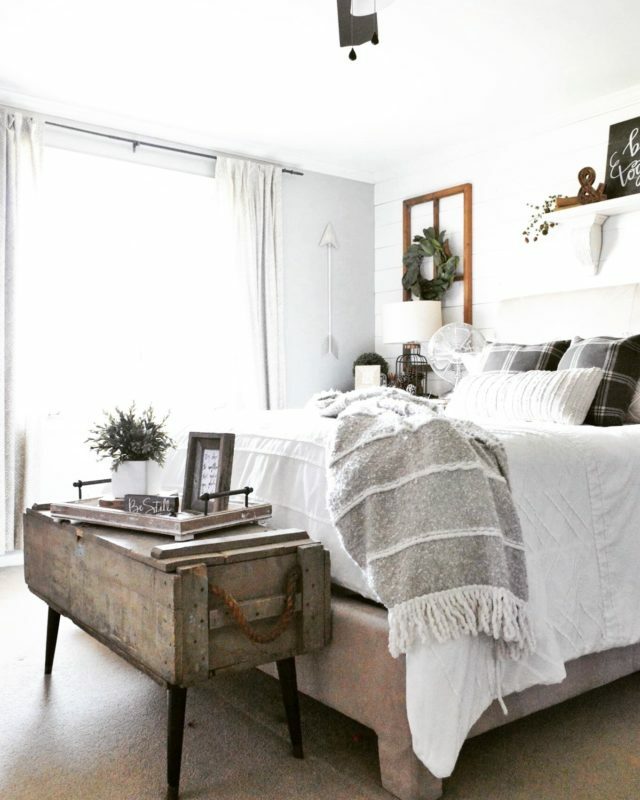 Use an old wooden chest at the end of your bed for a beautiful vintage storage piece! 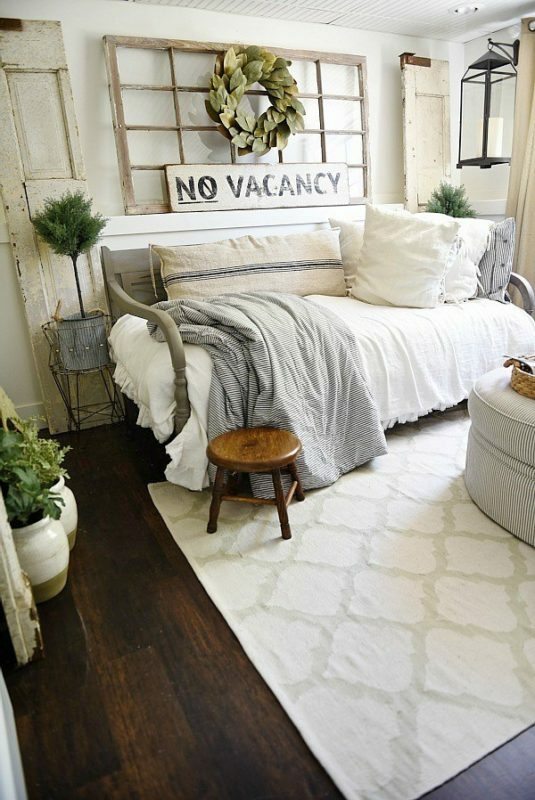 Check out how rustic this bedroom looks because of it's clever headboard made out of old wooden doors. 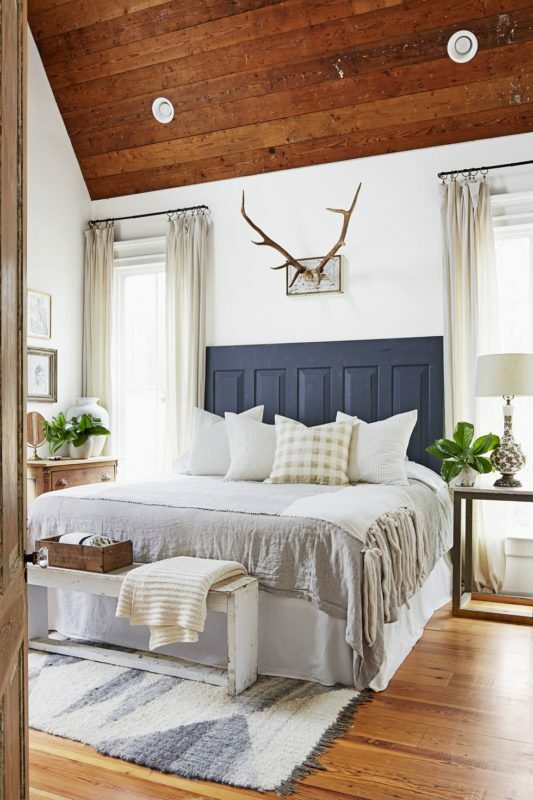 Check out how beautiful those antlers look hung up on the wall of this rustic farmhouse bedroom. 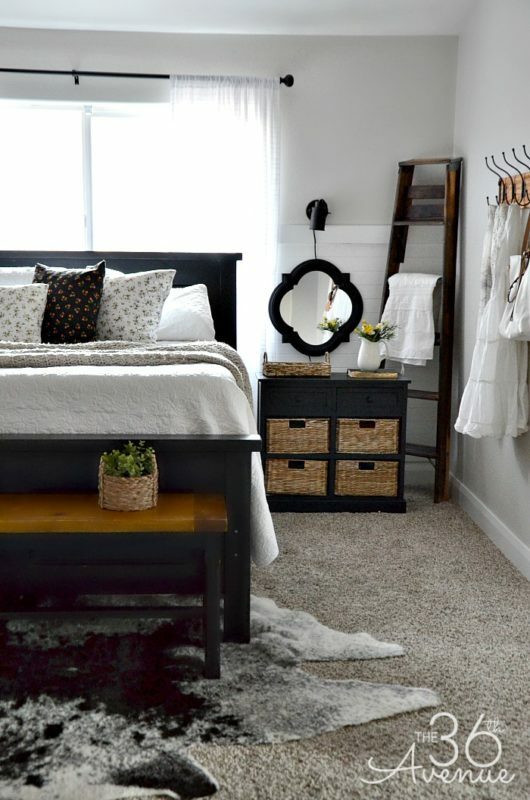 Wicker baskets are an awesome way to keep things out of sight and out of mind. 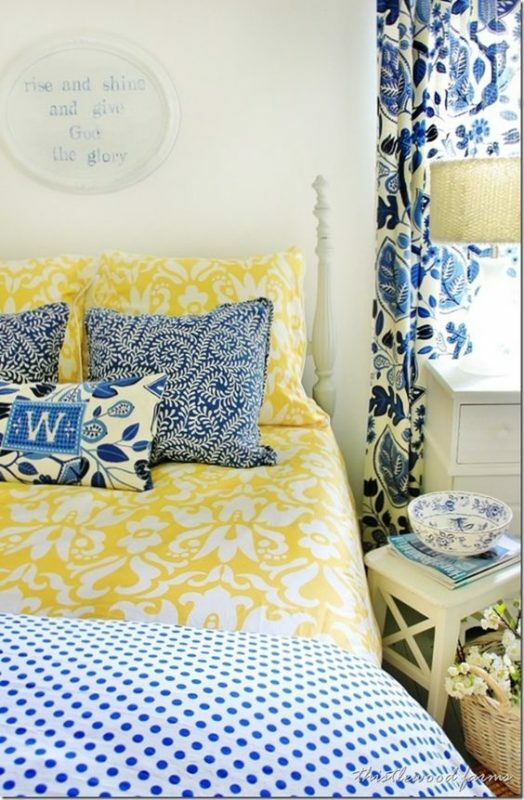 Plus, they go perfectly with the farmhouse bedroom theme. 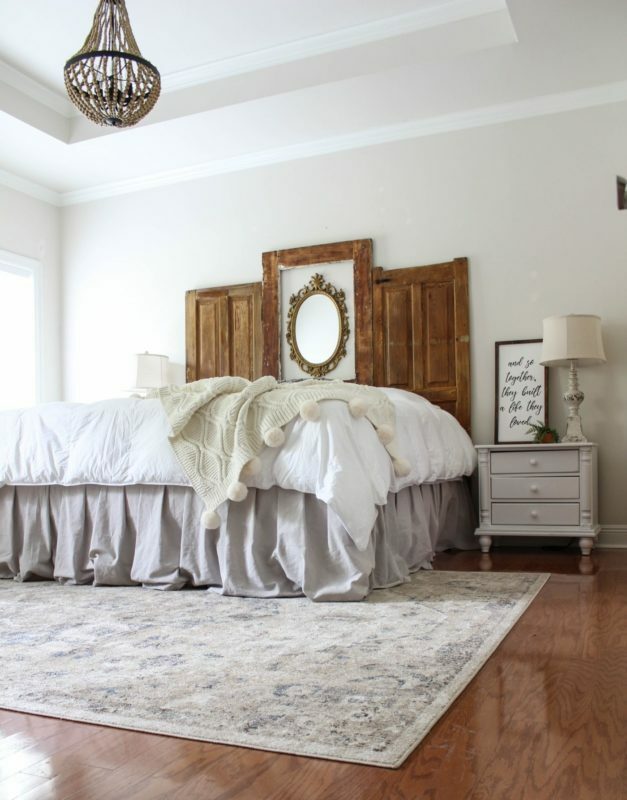 Using vintage pieces in a modern way is a lovely way to achieve that farmhouse bedroom dream. 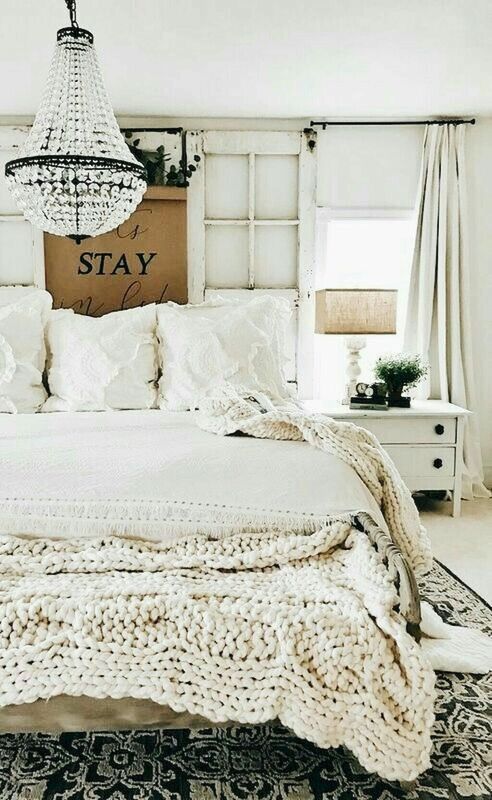 This dreamy farmhouse bedroom utilizes the statement cross board as the perfect place to hang flowing curtains. 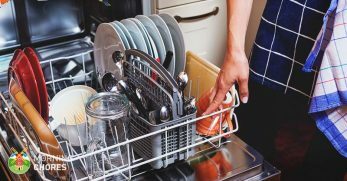 Do you have an ensuite bathroom? 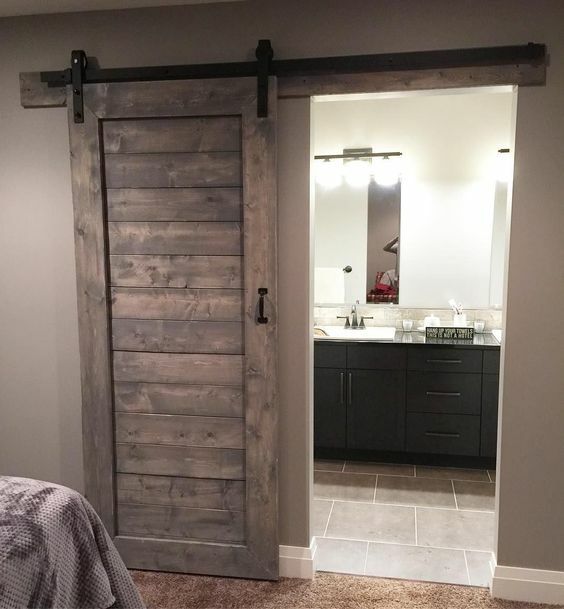 Replace it's boring normal door with a wooden sliding barn door! You can even use our own tutorial to create it. 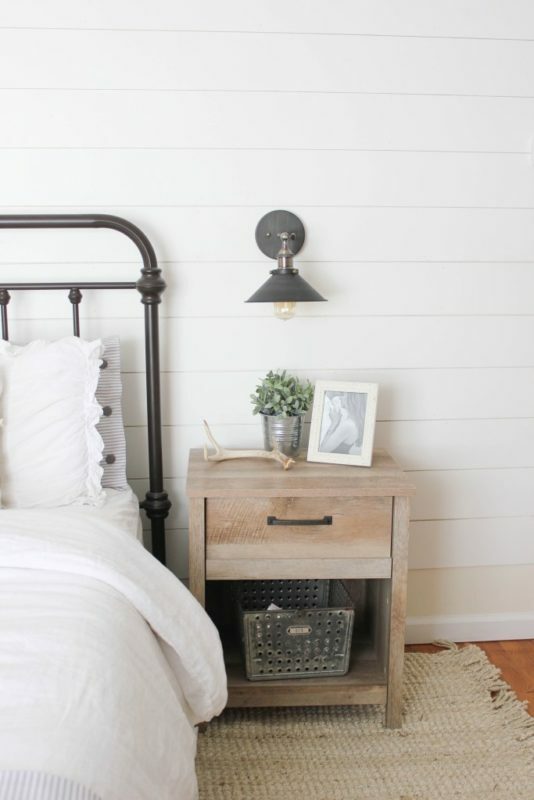 Use metal accents whether it's in the bed frame of the lamps to get an industrial feeling to your farmhouse bedroom. 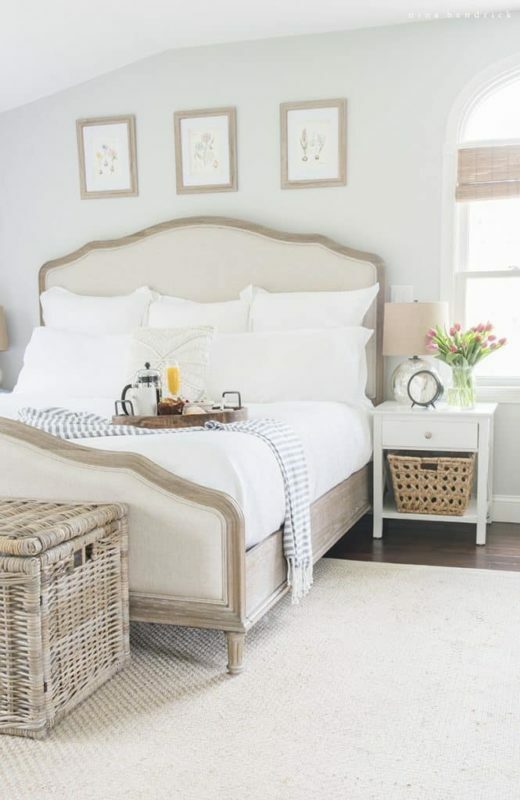 Soft elegantly patterned bedding is key to a vintage farmhouse bedroom. 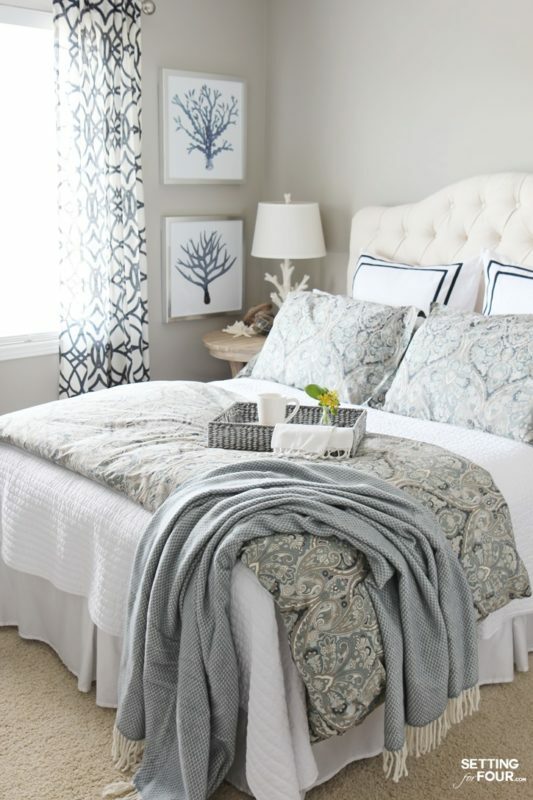 Go for light tones and soft linens. Lanterns! 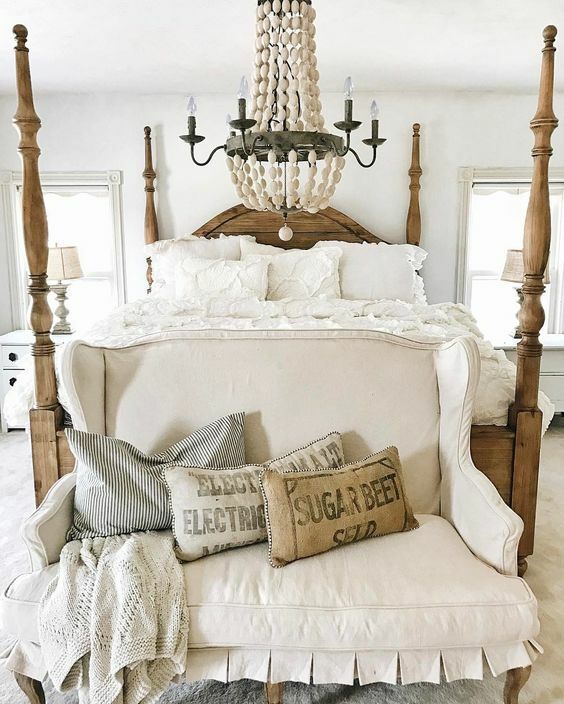 Lanterns are a must-have in any farmhouse bedroom design! They are beautiful on the eyes and look charming all lit up. 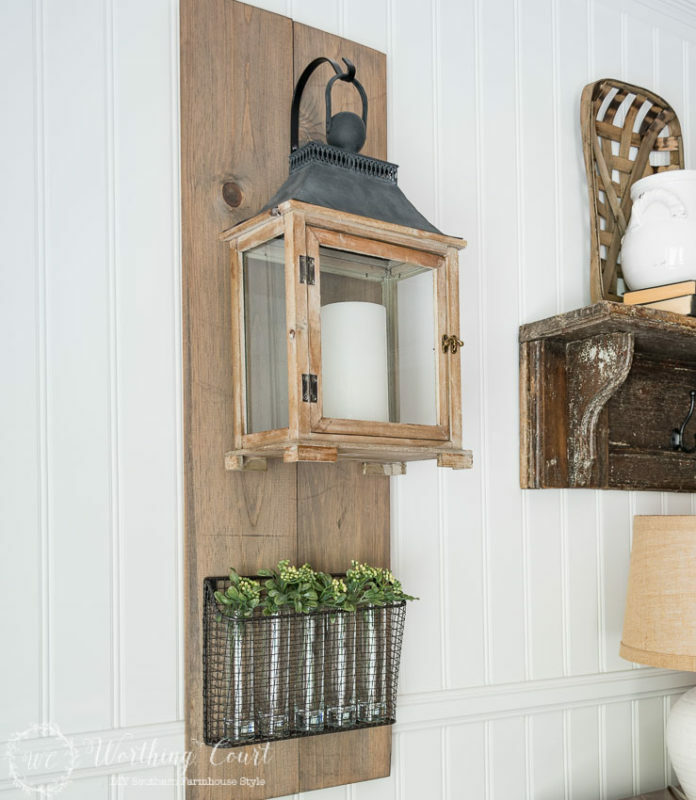 A staple in the farmhouse look is shiplap walls! 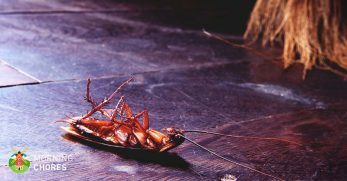 They give such a beautiful rustic feeling to the room. A beautiful chandelier can take you back in time and make you feel like you're living in the ol' countryside. 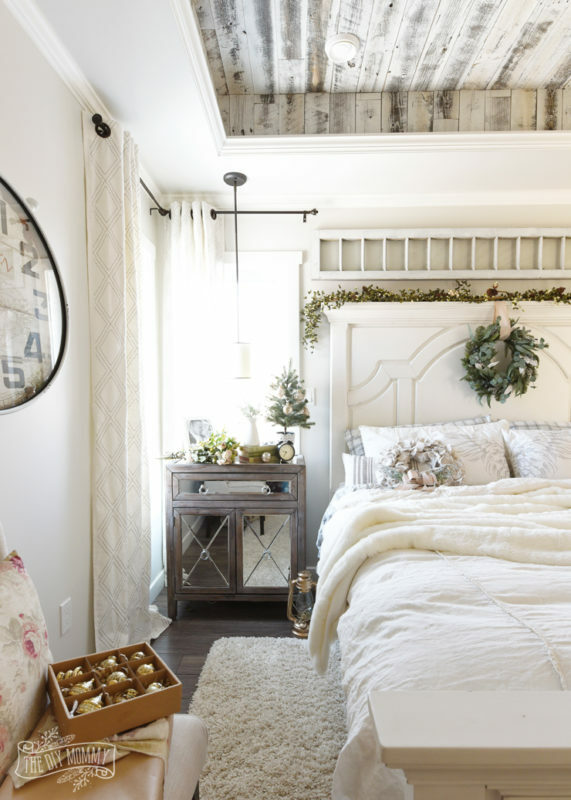 The chunky furniture in this little girl's farmhouse bedroom makes it feel cozy and comfortable! 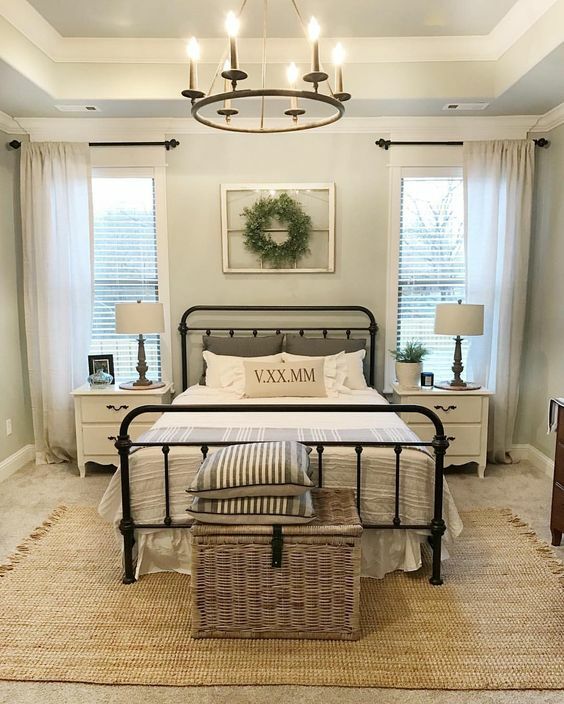 I really love the design of this modern farmhouse bedroom with the dark beam accenting the high ceilings. In my humble opinion, every true comfortable farmhouse bedroom should have it's own vintage wooden tray for serving breakfast! 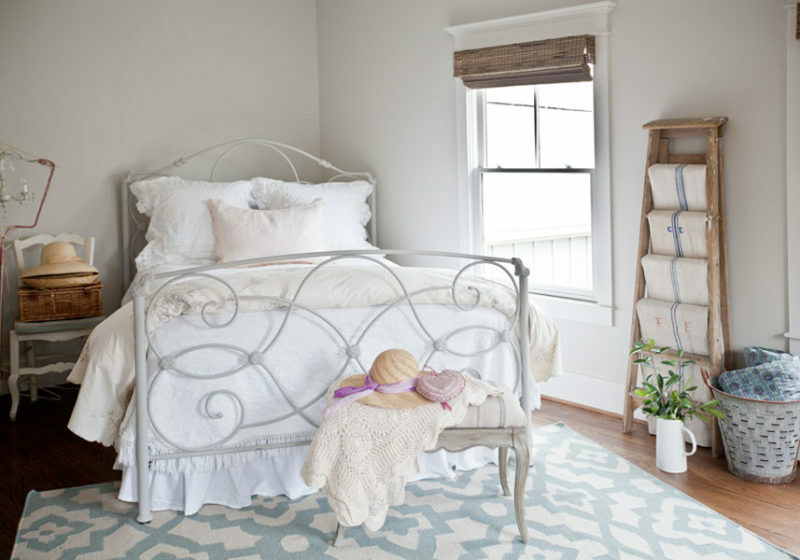 Hide your snowshoes, extra pairs of overalls and your dirty farm jeans under the bed easily with a ruffly bed skirt. 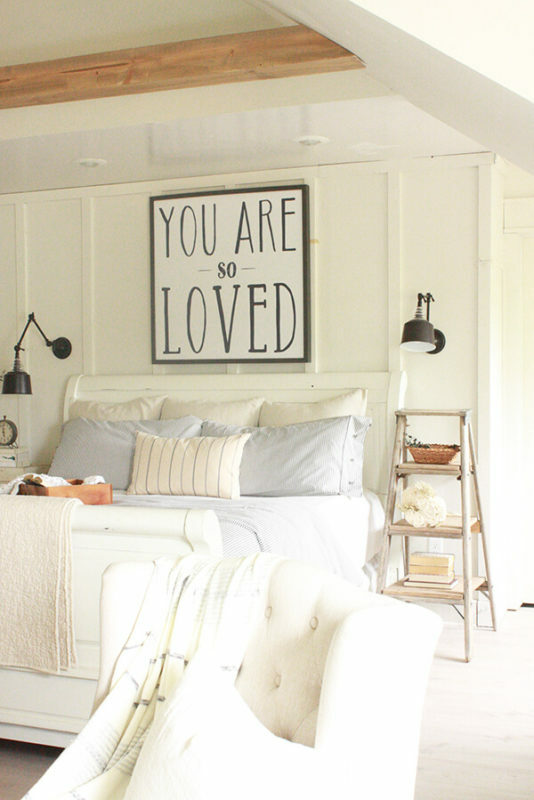 When looking for a new bed frame for your farmhouse renovation you may want to consider a four poster frame! 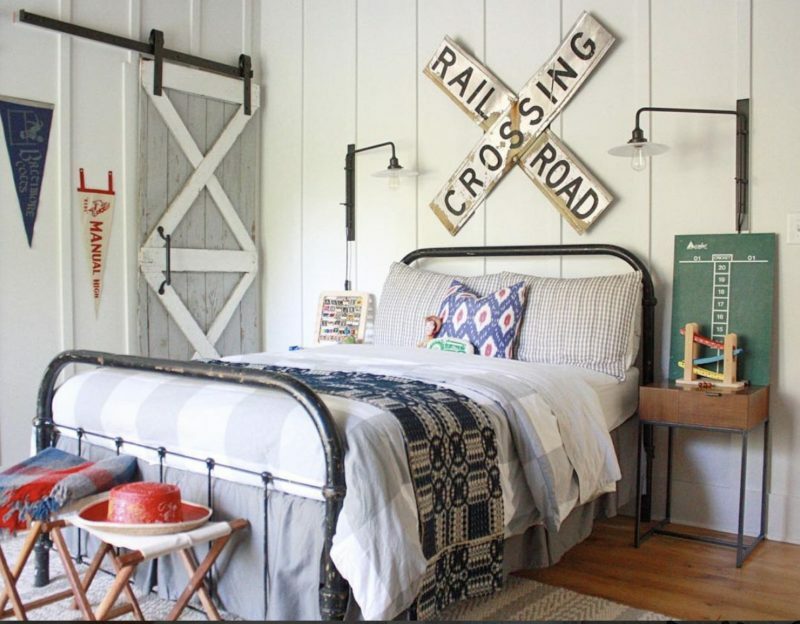 This is a great idea for the kid's farmhouse bedroom! 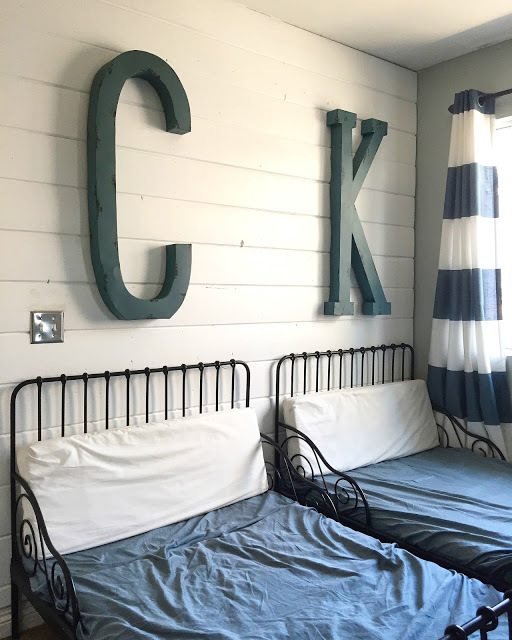 Oversized initials for a funky and rustic look. 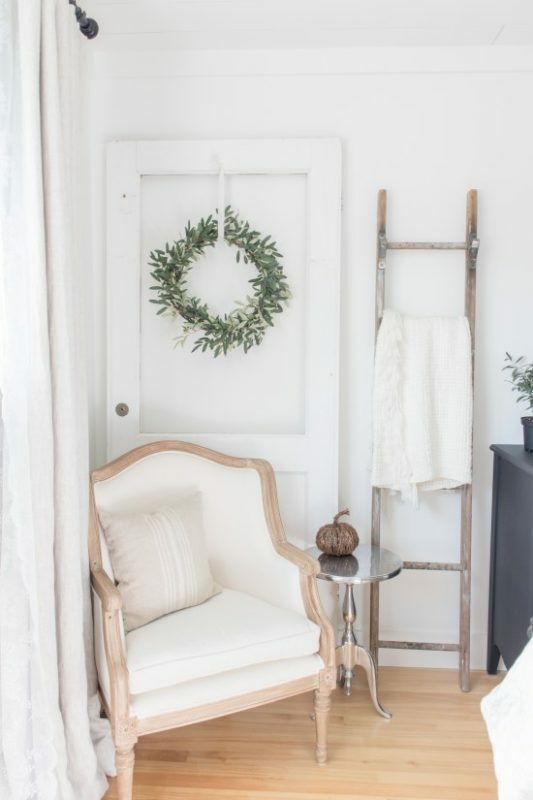 Old doors, refurbished ladders and vintage chairs; how you decorate your farmhouse bedroom will make all the difference! 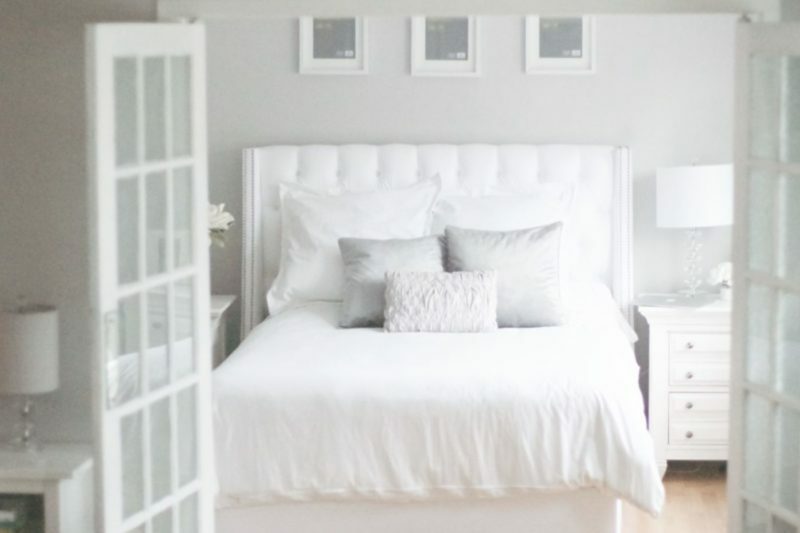 This guest bedroom is absolutely to die for! 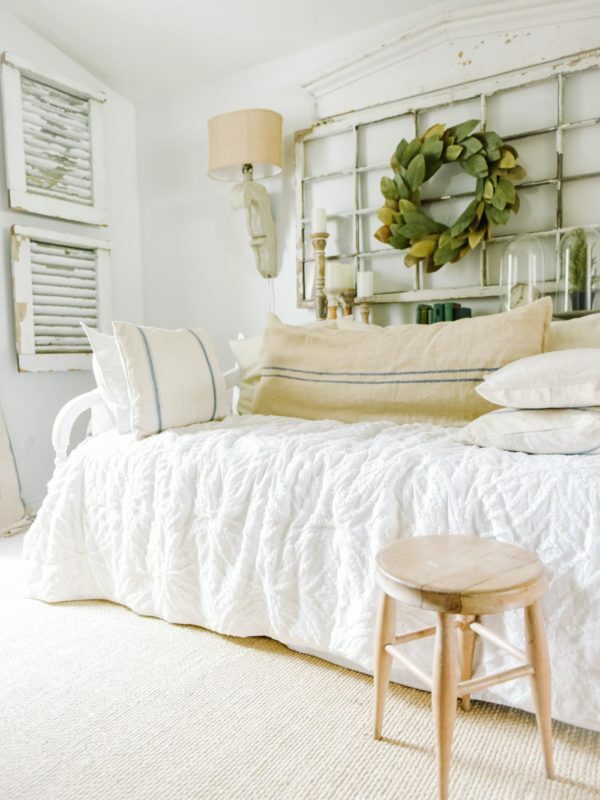 Those old window shutters, the vintage signs, the soft linens, it's all perfect! 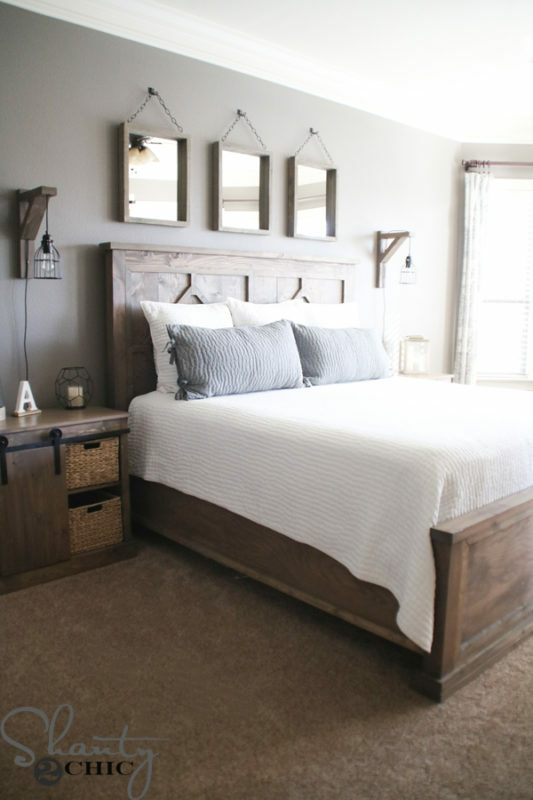 If you aren't a fan of the farmhouse metal bed frames you might want to go for something a little more elegant like a sleigh bed! 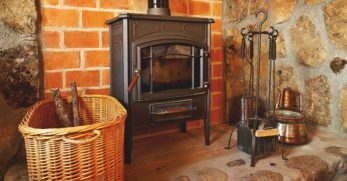 Most old farmhouses had fireplaces in them to keep warm. 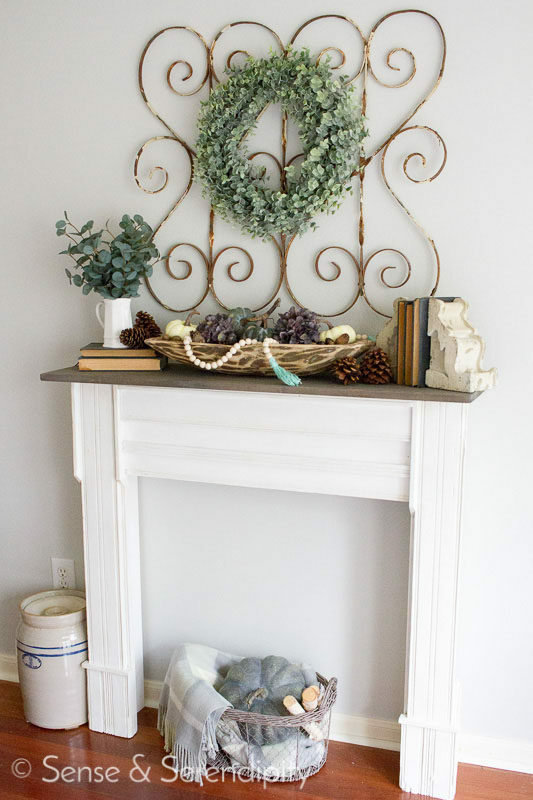 Build a faux fireplace in the bedroom to add character. 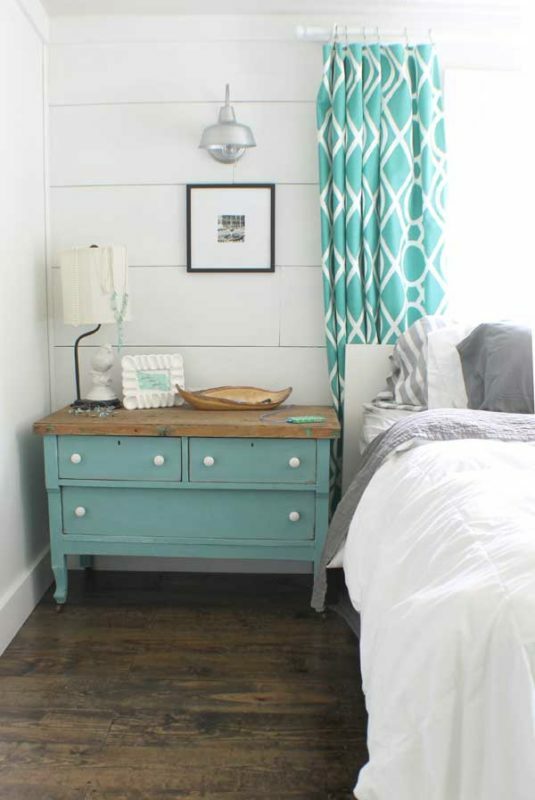 Repaint old furniture to give your farmhouse bedroom a modern update while still being shabby chic! 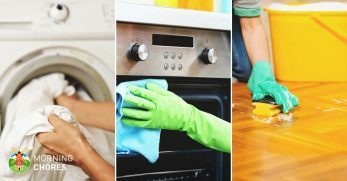 It's amazing what a little bit of extra detail can do to a room! 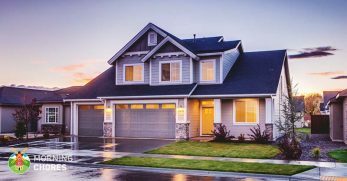 Adding window trim also adds an unexpected charm. 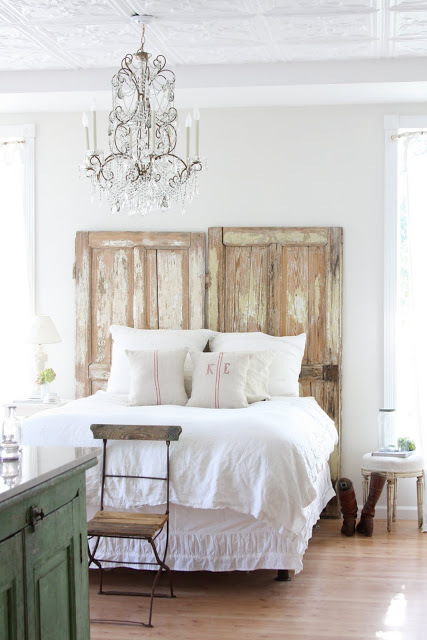 Recycled and refurbished window shutters are a must-have in any farmhouse bedroom to really get that rustic feeling! 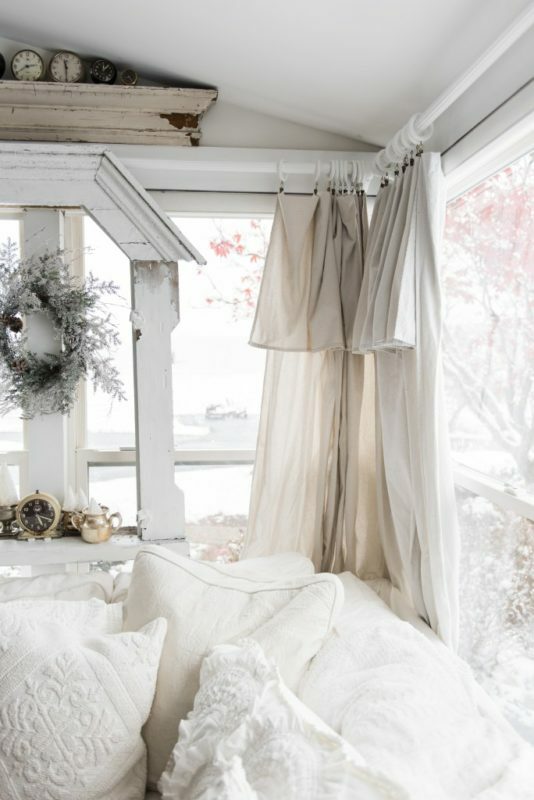 Soft and delicate curtains bring a dreamy and elegant feeling to any room in your farmhouse. 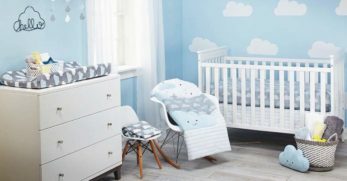 This farmhouse bedroom is for your little farm boy! I really love the detail of the license plates hanging on the wall. Cool metal barn lights make wonderful side table reading lamps. 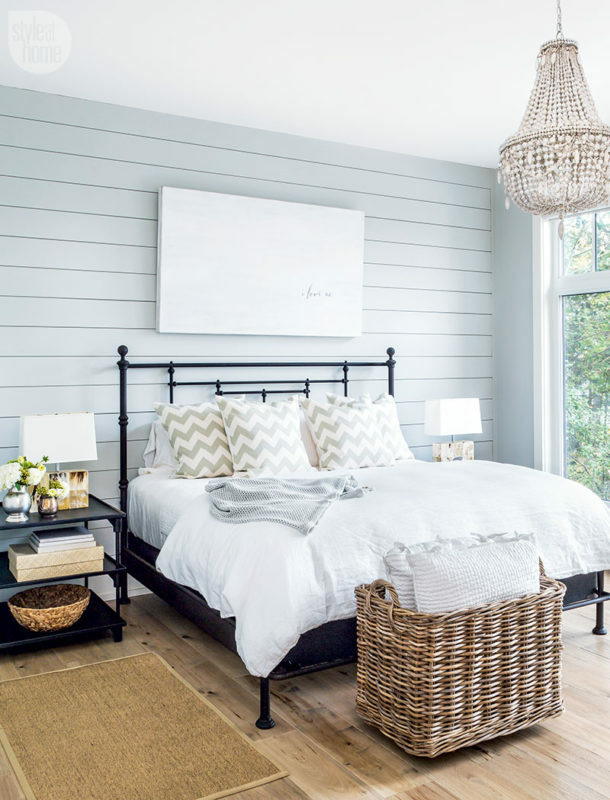 Accent them wonderfully with a metal bed frame. 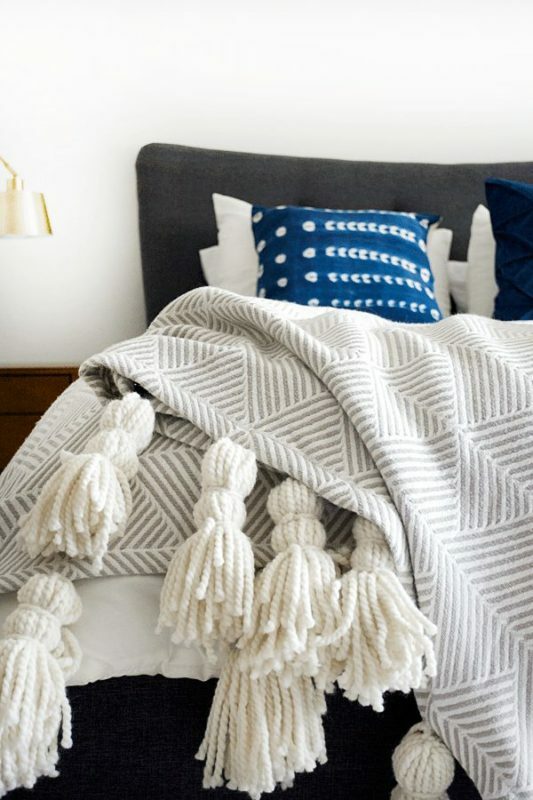 DIY projects like this throw blanket should be included as a must-do when designing your farmhouse bedroom! 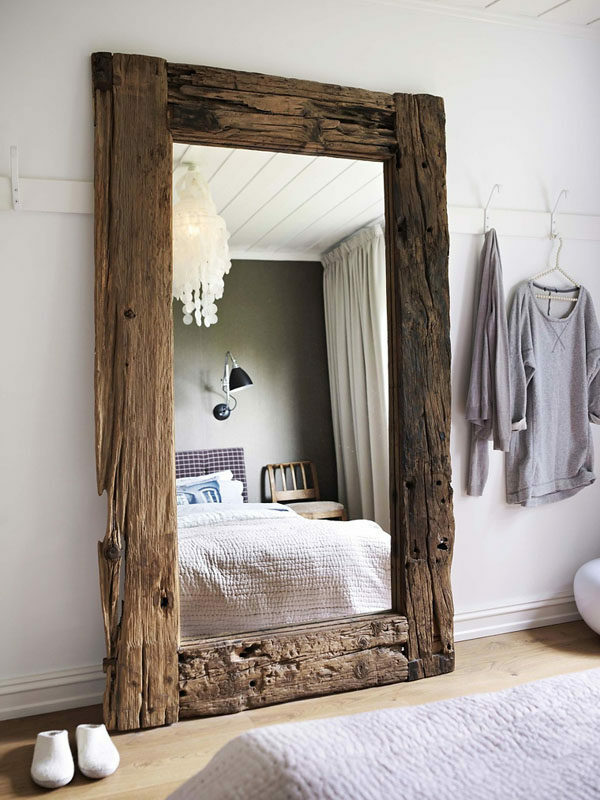 A large mirror to check out your new outfits made out of beautiful old barn wood can be a wonderful feature. I absolutely love the design on this farmhouse bedroom side table. The tiny sliding barn door is adorable! 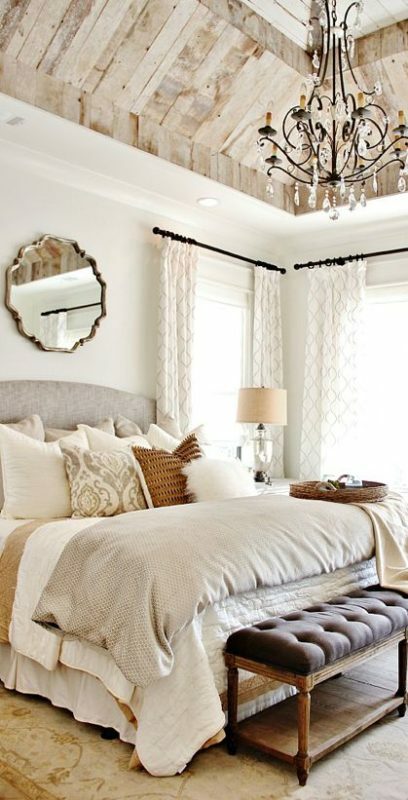 This bedroom is just begging to be snuggled into and for you to be drifted away into a deep and pleasant dream. 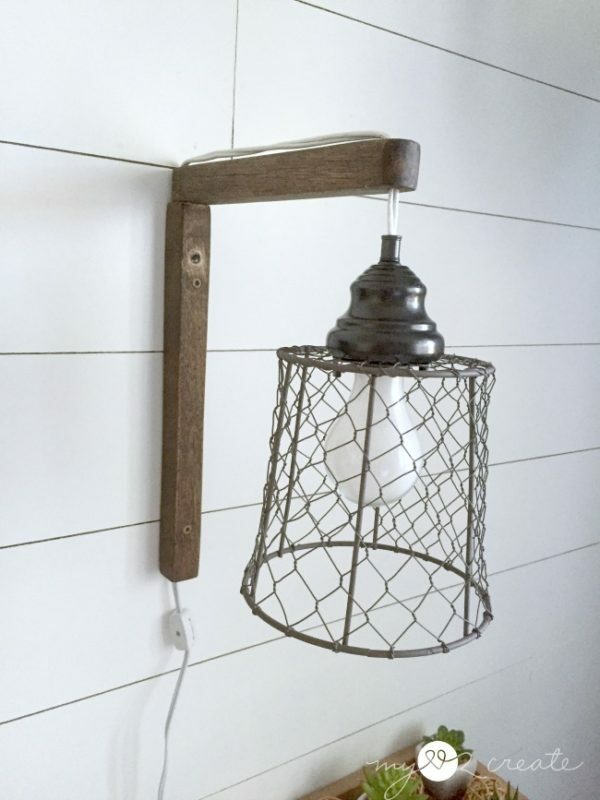 These awesome metal caged sconces look like they were made up with materials found out in the barn! 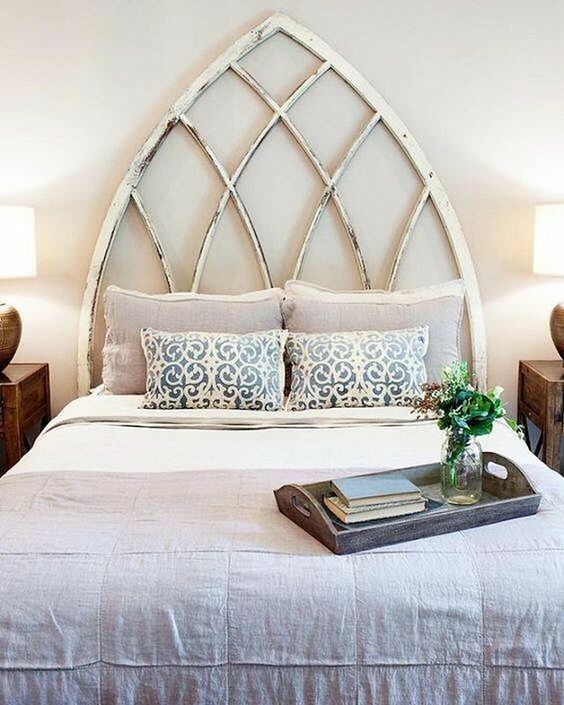 This unique headboard is absolutely dreamy! It really gets the creativity juices flowing! 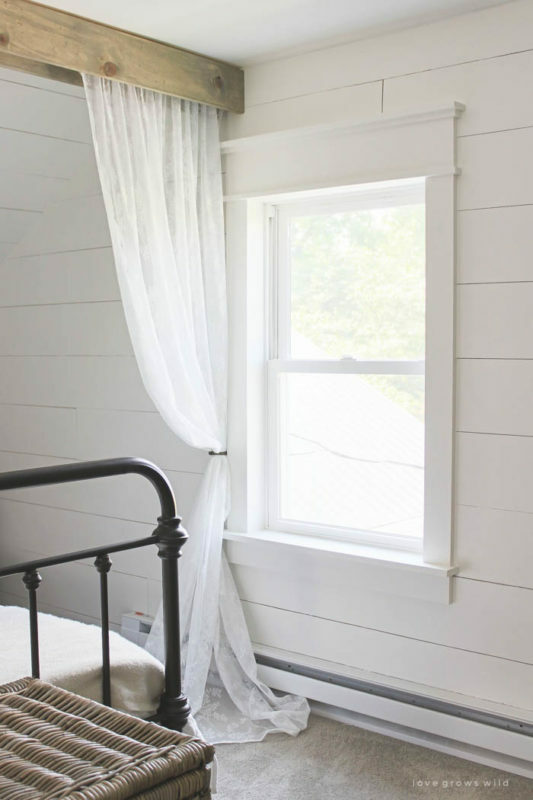 White washing (like done on the shutters) is a beautiful technique to use when designing a bright farmhouse bedroom. 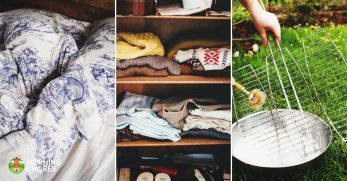 An old hope chest to fill with extra blankets or special treasures is another key object in a farmhouse bedroom. Just look at that unreal ceiling design! When you take the time to put a bit of extra effort in something it can really pay off. 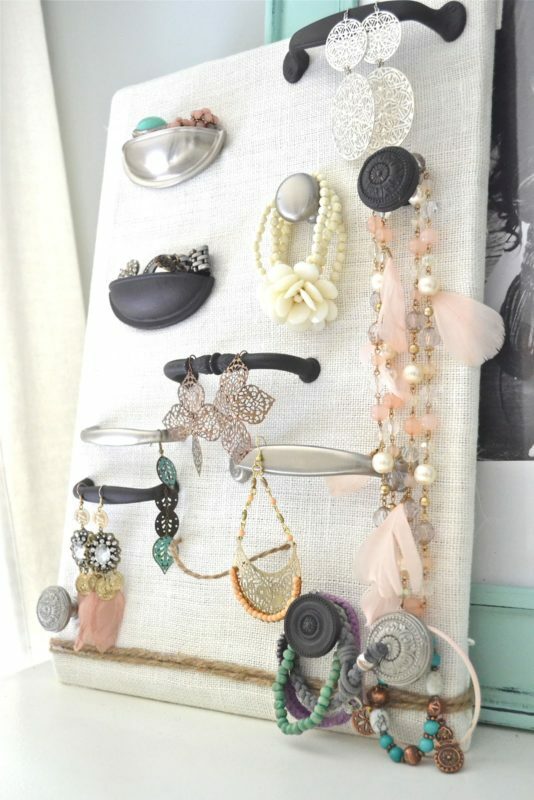 Organize your jewellery while still sticking with your farmhouse theme. 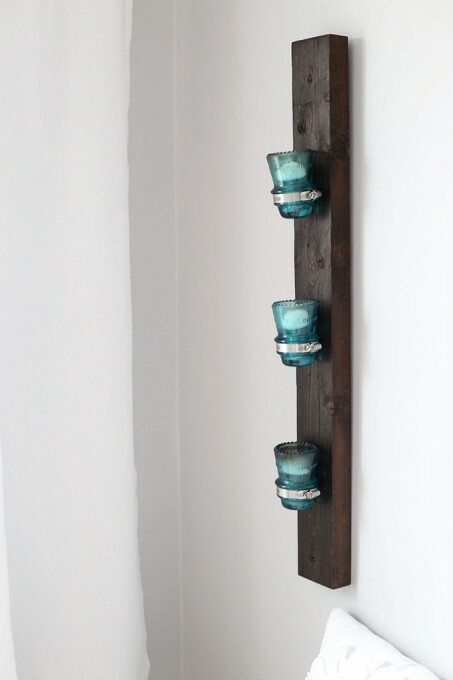 DIY a fun doorknob organizer! 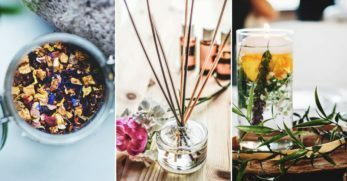 Go for happy spring colors that match the blooming flowers in your outdoor garden. 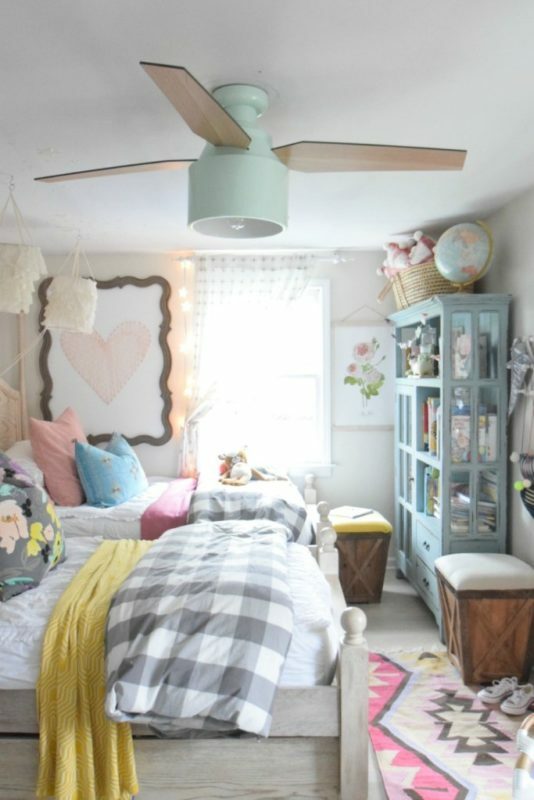 This bedroom looks like somebody zoomed in close to a dollhouse and snapped a photo of the bedroom! AKA so cute! 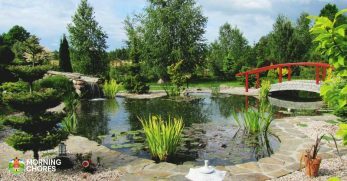 This beautiful romantic red entices images of that classic red barn in your head making you feel like you're back on the farm. 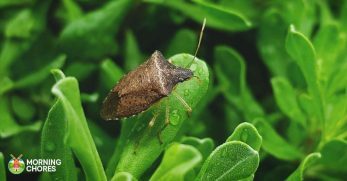 Images of old barns, rusty tractor pieces and farm animals hung up on the walls will really make you feel like country living. 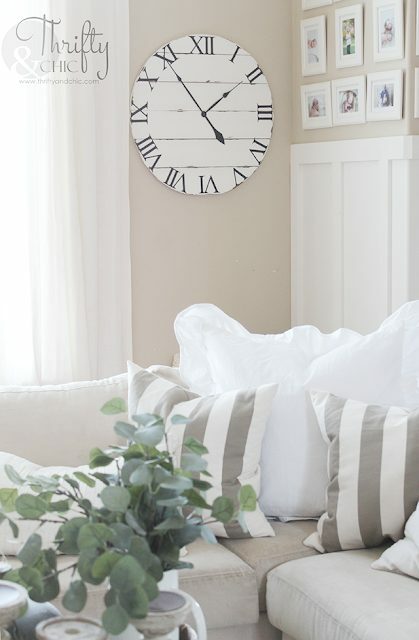 Your guests taking a look at your new farmhouse bedroom reno will be asking where you bought your shiplap clock. You can be proud to tell them that you made it yourself! 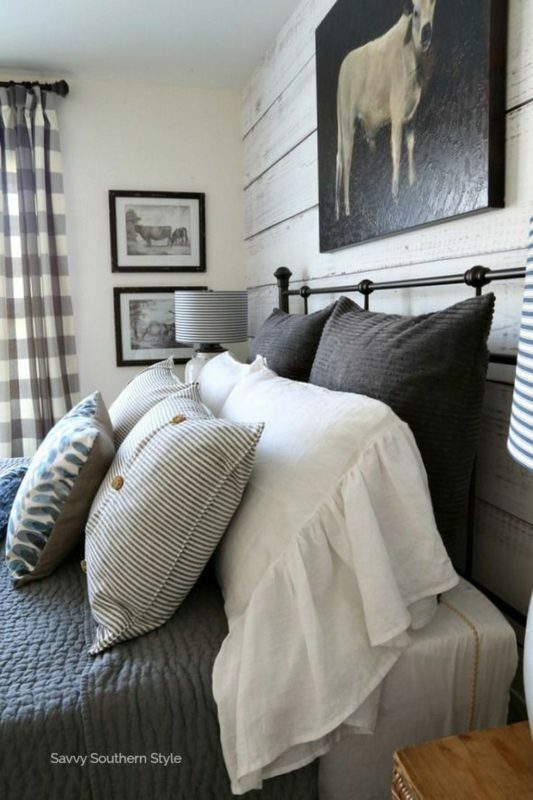 Adding cute little decoration details can make all the difference in the farmhouse bedroom. Little wooden houses, tiny pine trees and old bottles make for wonderful additions. My mom has lots of beautiful glass insulators in her house and it gives such a rustic yet colorful feeling to the place! 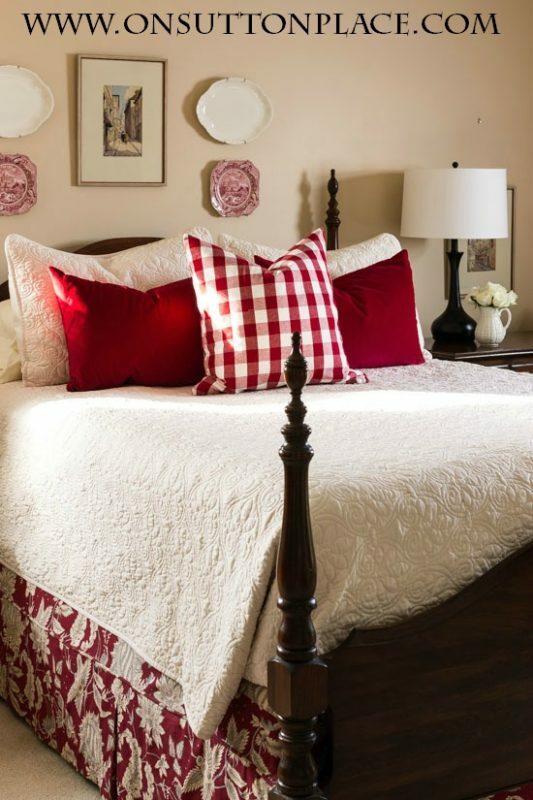 Red plaid can give a wonderful pop of color to your farmhouse bedroom. Really get that lovely winter cabin feeling! 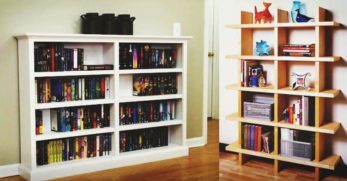 Here's another side table idea that uses a small step ladder as a place to store your books and rest your cell phone. 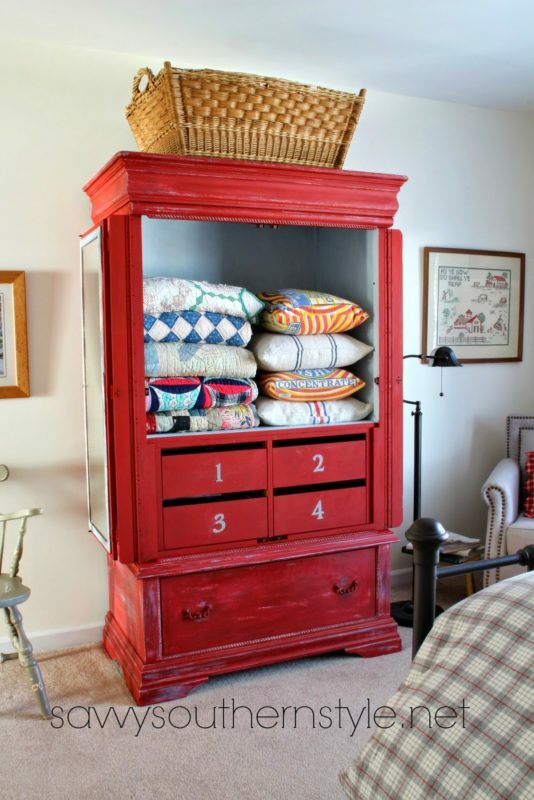 How awesome is this vintage refurbished storage unit!? Perfect for your vintage quilts and warm socks! 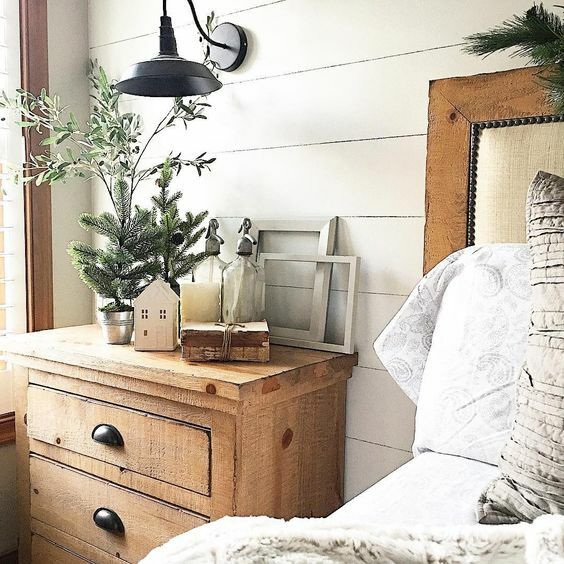 Old barn wood, industrial metal lighting, vintage farm signs, fluffy and ruffled bedding, antlers on the wall, shiplap walls and old wooden hope chests. 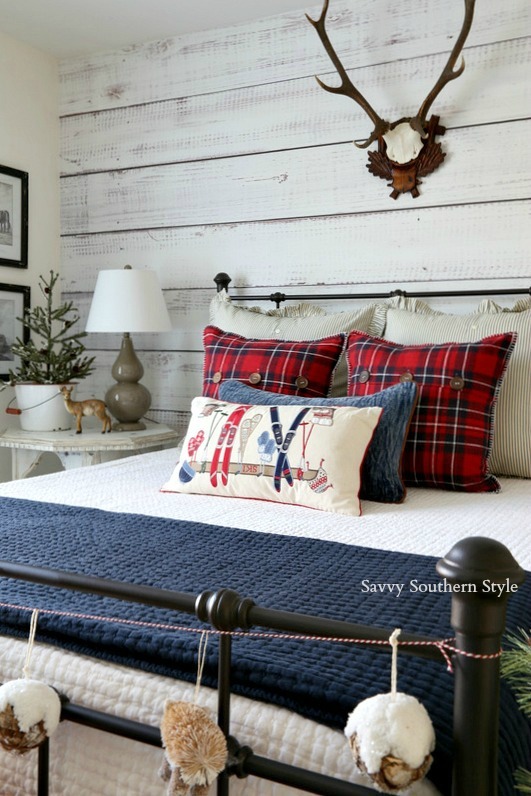 There are so many items that can help you get that farmhouse bedroom look you're wanting! 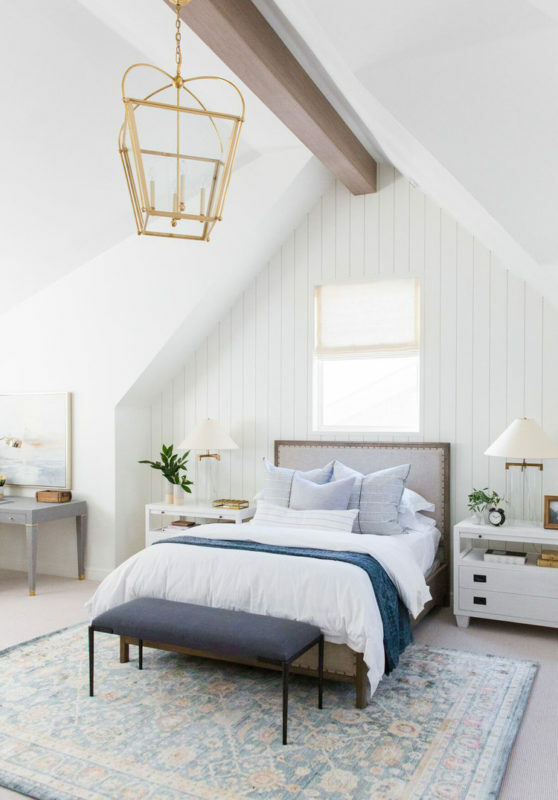 Above we saw 50 rustic and gorgeous ideas for a farmhouse bedroom design that will hopefully help you make some final decisions for your renovation. 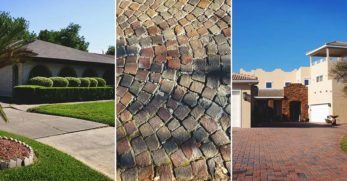 Whether you want to go for soft tones with a more elegant feeling or pops of barn red to make it a bit more fun, there's a way! Metal bed frames, sleigh beds, and four posters are our top picks for the bed design! 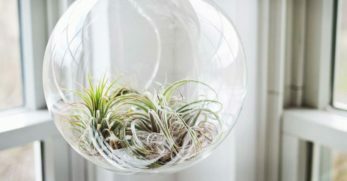 After that, have fun adding cute little decorations like tiny wooden houses or vintage glass insulators. 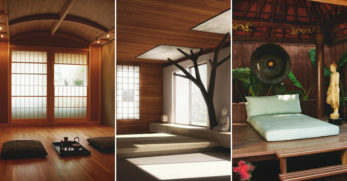 To top it all off, throw a barn wood ceiling in the mix and your bedroom will look stunning in no time!